Apart from the massive Galaxy Note 7 disaster in 2016, Samsung managed to make a comeback presenting S8 and S8 plus. 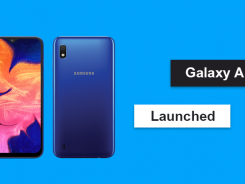 The company has introduced yet another impressive handset the Galaxy Note 8. Earlier this week during a media event in Taiwan DJ Koh, the head of Samsung mobile division (CEO) confirmed unveiling the Note 8 in late August. Samsung’s new flagship phone will first land in US and UK. The sales of Samsung flagship phablet will start from September. Rumors have suggested that the Note 8 will be revealed at a New York event on August 23rd or 26th. In other countries, the phone will probably arrive in October. Galaxy Note 8: What’s New? 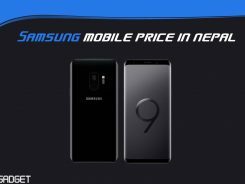 The upcoming Galaxy Note 8 flagship smartphone is very important for Samsung Note-Series as it could be a major comeback to withstand the disastrous battery failure caused by Note 7 last year. Note 8 will feature Samsung’s new eight-point battery test to ensure enhanced safety. The phone is likely to feature two rear cameras. The S-Pen stylus is expected to have built-in speaker. According to the company’s hard work the phone might also have curves on the top and bottom. Being the creator of an ‘Infinity Display’ Samsung is most likely to approach the facility in Note 8. The phone will retain the IP68 certified waterproof design, same as in Note 7 and Galaxy S8/S8 plus. Note 8 is expected to use a display resolution bump having QHD+ screen or even better 4K Ultra HD screen. The processor that will power the phone would probably be Samsung’s custom built Exynos 8995 chipset or Qualcomm Snapdragon 836 SoC.